The best kind of houseguest ... brings chocolate. A stellar houseguest brings GREAT chocolate. We had a visitor from New Zealand recently who ranks at the top of my list. She cleaned up after herself, didn't stay too long, was friendly to our unruly dogs, but best of all, she brought us some of the best, swear-to-god TO-DIE-FOR chocolates from the Chocolate Boutique in New Zealand. They were tasty and SO pretty. Little swirly decorations and fancy shapes, melt in your mouth chocolate, and different flavored fillings and centers that were just right, not too sweet, truly something amazing. Ok, I'll fess up, I'm the nibbler. But I was polite. I waited until the hubs wasn't looking. And as you can see, I didn't leave too many bones in the boneyard. I found their website here. Now I just have to see if they'll deliver. Overseas for less than an arm and a leg, intact, not melted, even when shipping to Arizona in the summer? Oh well, that's probably asking too much. I love that saying have been quoting it to all my friends, "A stellar house guest brings GREAT chocolate." Checked out their site, happy to see they deliver internationally. Little swirly decorations and fancy shapes, melt in your mouth chocolate, and different flavored fillings and centers that were just right, not too sweet, truly something amazing. I've never considered this but I think it's probably accurate. I should bring more chocolate to people's places when I stay. Of course I'm kind of poor right now so...I'm not sure that I'm ready to implement that at the moment. But I'd like to, and certainly intend to. Who doesn't like chocolate? Who? I love that mouthwatering chocolates...It is very common to present chocolates on Valentine's Day and usually with bouquet of flowers.This could also be a nice gift idea..
Having been born and bred in NZ (before moving to Australia many years ago)I can attest to the fact that I believe NZ chocolates and ice cream are the best. I have traveled and tasted both these essentials of life extensively and still feel that NZ just edges out the rest. Mind you I don't believe there are too many chocolates that don't pass the taste test. 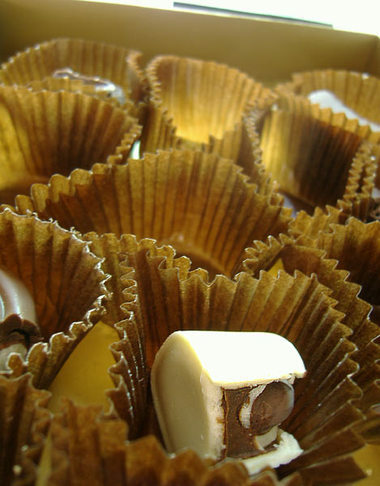 Chocolates are best kind of house gifts because children are liking very much and they are very much interested to eat this chocolates.If we are presented this, while opening the box they are really gets very excited and they feel happy also. ohhhh. my favorite combination , coffee/ tea and chocolate. It gives Temptation in such a busy routines. I ma also a chocolate lover and I love drinking coffee while eating chocolate. You're very lucky to have a guest like that. Ur blog looks fine,I love to read it,so that i am a big fan of you,I like all the recipe you are mentioned here. Oh yeah, this is my kind of blog. I love coffees and chocs so thanks heavens i found your site. You finished those? lol. 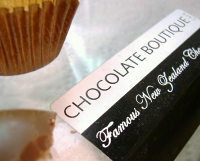 I want to try chocolate boutique cafe as well, too bad i'm not from New Zealand. Oh well, i guess i just have to satisfy myself with http://www.foodista.com/2008/06/12/mexican-hot-chocolate/ this hot chocolate first. I'm actually addicted to it. lol. Try it, you might be hooked as well.